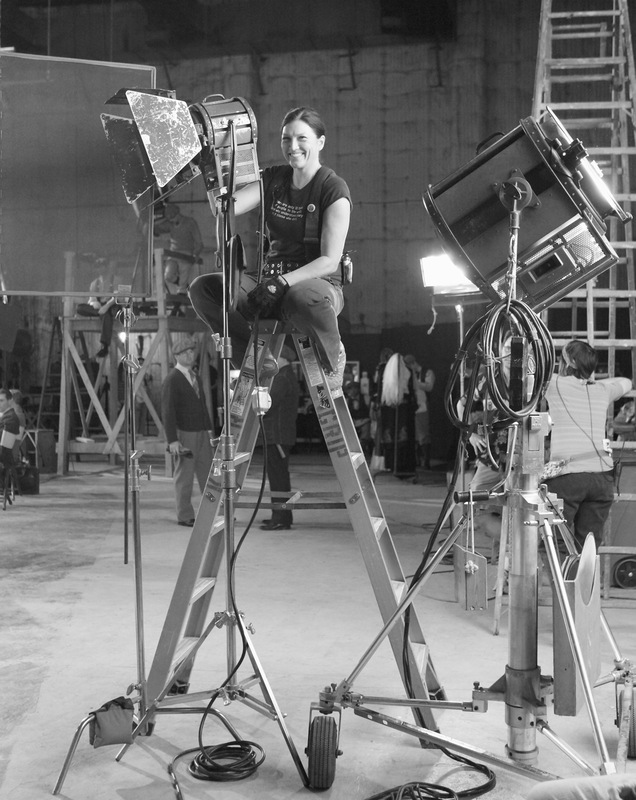 Renée George is a Los Angeles-based filmmaker who is also an experienced lighting professional in Hollywood. 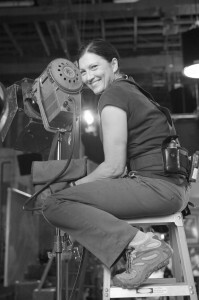 She studied photography and film and holds a BFA in Media Arts from the Minneapolis College of Art and Design, and attended the Graduate Film program at New York University. 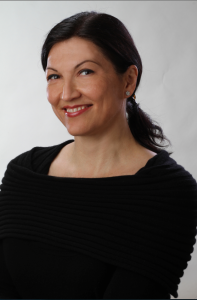 After working on the Academy Award winning film, The Artist” she wrote and directed an impressive short film called “Le Petit Nuage” and is now transitioning to feature-length projects. We caught up with the filmmaker and asked her about her life and career. RG:I worked in the lighting department as a Best Boy. 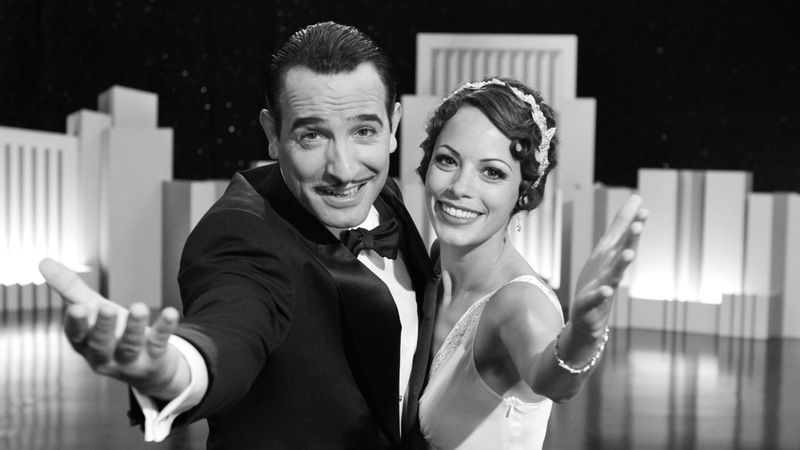 I was so inspired by the sets and costumes, the wonderful direction by Michel Hazanavicius, and performances by Bérénice Bejo and Jean Dujardin, that I decided to make a “response” film, my own black and white, silent film. The French had come to the U.S. to make a film about love in Hollywood with an American crew. I traveled to France to make a film about love in Paris with a French crew. HR: How long did it take to put your project together? RG: The idea started to form on the set of “The Artist.” I thought about exploring the concept of two people meeting in a cafe in Paris, struck by love at first sight, and what happens to them afterwards. I didn’t decide to actually shoot the film until I was on the beach in Cannes just after watching “The Artist” go from out-of-competition to in-competition. The screening with a twenty-minute standing ovation was awe-inspiring! It was a fantastic celebration of the art form. I decided then and there – with some goading from my friend from Berlin – to stay a week longer and film “Le Petit Nuage” in Paris. I asked Isabel Ribis, the French script supervisor from “The Artist,” if she knew a cinematographer in Paris. She referred me to a friend who was already in Cannes. Twenty minutes later, I was talking to Stella Libert, cinematographer extraordinaire, who agreed to work with me on my project. HR: How did you find the cast? RG: Just after Stella said yes, I met with Sarah Demeestère, my lead actress, in Cannes, though she was not yet my lead actress at that time. I had met her before leaving Los Angeles at a movie screening from a French Conversational meetup group. She’s an actor/director, her film screened during the meetup and she speaks both French and English so I thought it would be interesting to check out her film. Her film was wonderful and we became friends. She told me to contact her once I arrived at Cannes, which I did shortly after meeting with Stella. At Cannes, I asked Sarah to play the female lead in my film, and she said yes. Knowing I didn’t have time to do a proper casting with only one week of pre-production, I asked her if she knew any male actors for the lead role. She showed me some of her actor friends on Facebook and there was one in particular who seemed perfect – Joffrey Platel. She arranged a meeting the next evening in Paris. We met, he said yes, and invited me to see him in a theatre play two days later. I brought Stella with me so she could meet him and watch his performance. Onstage with Joffrey was Sébastien Pierre, another actor who seemed perfect for the role of the waiter, as his comedic talents were obvious. After the performance there was a soirée for the cast and crew across the street and I asked Sébastien if he would play the waiter and he said yes. Then we just needed the little dog. As I was discussing this point with Joffrey a female friend of his walked up with a little dog! The film was successfully cast in three days. HR: The music in the film is beautiful. Who created it? RG: I co-composed the original score with Robert Casal. Robert is an amazing talent, and a wonderful collaborator. I am not a classically trained musician – I sang melody lines and Robert would transcribe them into sheet music. He also wrote parts on the keyboard. It was a wonderful experience; one of the most enjoyable moments of my life. In a twist of fate, after shooting my film in Paris I was in the Charles DeGaulle airport waiting to board my flight when I saw a familiar man carrying an instrument case on his back. After wracking my brain, I realized who it was – none other than Gautier Capuçon, the famous French cellist and international concert soloist standing in line to board the same plane! I hurriedly scribbled a note in French to ask him if he would play on my soundtrack. Miracle of miracles it actually happened. Robert and I flew to Washington D.C. to record him with the Argentinean bandoneonist Emmanuel Trifilio before Gautier’s performance at Kennedy Center. HR: Tell us about your background in film? RG: I started out studying photography and then film at the Minneapolis College of Art and Design. I have a BFA in Media Arts from that school. I also studied at NYU’s Graduate film program in New York. 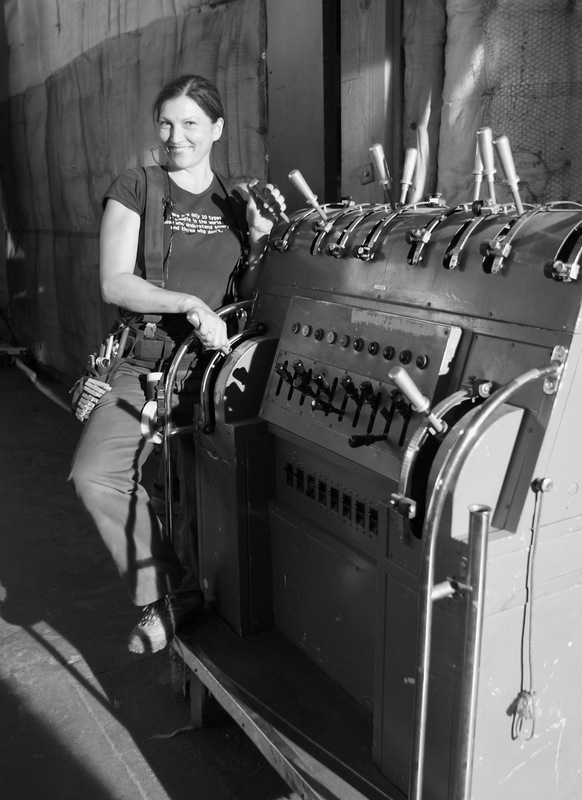 I have worked in the industry as a union lighting technician for many years. As far as music goes, I used to play and record in bands, Tetes Noires, who toured and recorded three albums one on Rounder Records, and Big Lucy who played locally in Los Angeles and recorded a seven inch. HR: How did you land the job on “The Artist”? RG: Two wonderful men named Jim Plannette and Joseph Capshaw gave me the opportunity. Both Jim and Joseph are incredibly talented Gaffers (Chief Lighting Technicians) and I learned so much from them. Their vision for lighting is so clear and so confident. Jim is a huge film buff and loves movies more than anyone else I know. The French were quite lucky to have them working on the film. The depth of experience both of those men brought to the table really shows in how beautiful the lighting is in “The Artist.” Jim did “Young Frankenstein,” “E.T.,” “Oceans 11” and many more. Working on “The Artist” really changed my life. It turned out to be an incredible opportunity. HR: Did you have any idea the film would be this successful while you were working on it? RG: I really did feel something special. I felt like the ghosts of Hollywood were there with us, supporting us, all around us all the time. I could feel them. We were shooting in the houses and all the places where they used to work. It was very special. I also bought my ticket to Cannes in November, before the film was finished shooting. I had heard a rumor that they might take the film there, and somehow I knew they would, although Michel the director wasn’t sure at that time if they would have the film finished in time to submit it. I told him “oh of course you will…”. And they did! HR: What was the set like on The Artist? Calm or crazy? RG: The set on the artist was quite lively. Michel would play music – which is never done on sets unless you’re on a music video or m.o.s. commercial. The dog trainer would be yelling commands and even the crew felt comfortable to talk quietly during takes. It was quite loud at times. We worked long hours every day – the shooting schedule was very short 35 days – so our turnarounds were very short. Go home, sleep, back to work. But it was such an incredible project, no one really seemed to mind. HR: Did you meet Uggie the dog? RG: Of course! Everyone loved Uggie. He is the MAN. Biggest star from the film! I heard he retired. Talk about going out on top. That little guy deserves all the kudos because he worked really hard and I’m telling you, that dog can act! You can see it on the film. It’s incredible. I know it’s just training, and he’s just a dog, but he really looks like he’s acting. Kudos to Omar and Sarah! They are amazing people. HR: What advise do you have for people just entering the film business? RG: Be certain that you are passionate about doing it for a living because it is a very difficult business to be in, with no guarantees of future work and a lot of uncertainty. If you can live with that, because you can’t live without doing film, then you are in the right business. HR: What’s next for Le Petit Nuage? Festivals? RG: Yes we are submitting to festivals now. It is in consideration at Edinburgh, the Los Angeles Film Festival, Palm Springs Film Festival, CFC International Short Film Festival and the USA Film Festival with many more to follow. We are submitting to all the larger, well-established festivals. HR: And what about you? What is your next gig? RG: I have decided to expand “Le Petit Nuage” into “Seven Short Films About Love”, which will eventually become a feature film once all of the shorts are completed. Each short will be filmed in a different country, each with the central theme of love. The next short will be filmed in Lake Como, Italy, this year. I look forward to co-composing the music for this next film in the series with Robert. I also have several other feature-length projects in development. I have an original screenplay about Nikola Tesla and the birth of the film industry, and another for the French market, a French-language biopic about a famous French musician. I’m also consulting producer on an international thriller and an animated children’s film. HR: Thanks for talking with us, Renée. Photo of Renée George on the set of “The Artist” by Yvette Gallardo D’Elia.